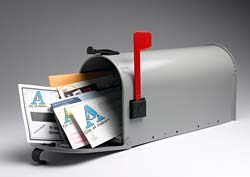 The eNotifier keeps you up-to-date on City of Auburn news, information, events and services. You can receive notification of press releases as they are released to the media, receive an email alert within minutes of online publication of City Council ePackets, and much more. You can proceed to the subscription form, or continue reading for instructions on its use. To subscribe to an eNotifier topic, simply fill out the information requested in the subscription form. When you click the box next to a subscription, a check mark will appear to confirm your selection. Once you have chosen the subscription or subscriptions you want, select "subscribe" by clicking on the bubble to the left of the word "subscribe," and then click the "submit" button. For your protection, you will receive an email with instructions on how to confirm your eNotifier subscription. Your subscription will not be finalized without your confirmation. To cancel an existing eNotifier subscription, simply fill out the information requested in the subscription form. When you click the box next to a subscription, a check mark will appear to confirm your selection. Once you have chosen the subscription or subscriptions you want to cancel, select "unsubscribe" by clicking on the bubble to the left of the word "unsubscribe," and then click the "submit" button. You will not have to provide further confirmation to cancel a subscription, but you will receive a final email indicating the cancellation. We invite you to return to the eNotifier website to stay up to date as new subscriptions become available. Thank you for using the City of Auburn eNotifier.